Welcome to the website of Zamil Steel Buildings Vietnam Co., Ltd.
Zamil Steel Buildings Vietnam Co., Ltd ‘s website is hereby referred to as the “Site”. The Site contains information, data, logos, graphics, images, photographs, other elements and materials (collectively, “Materials”) that are owned by and are the copyrighted works of Zamil Steel or its third party providers. Zamil Steel also owns a copyright in the selection and arrangement of the Materials. Except as stated herein, you may not use, copy, reproduce, modify, create derivative words from, distribute, republish, download, display, post or transmit in any form or by any means, including electronic, mechanical, photocopying, recording or other means, any Materials without the prior written permission of Zamil Steel. Any unauthorized use of any Materials contained on this Site may violate copyright, trademark, privacy, publicity or communications laws and regulations. Zamil Steel hereby grants you permission to copy, print and download Materials on this Site on an occasional and irregular basis, provided that: (1) all the copyright and other proprietary notices appear in the Materials; (2) the use of such Materials is solely for personal, non-commercial and informational use and will not be copied or posted on any networked computer, broadcast in any media or used for commercial gain; and (3) the Materials are not modified in any way. This Site contains links to websites controlled by parties other than Zamil Steel. Zamil Steel does not endorse and is not responsible or liable for the contents or use of these third party sites. Zamil Steel is providing these links to you only as a convenience. The trademarks, logos, and service marks (“Marks”) displayed on this Site are the property of Zamil Steel. Other product names, company names, marks, logos and symbols may be the trademarks of its third party providers or other third parties. You are not permitted to use the Marks without the prior written consent of Zamil Steel or such third party that may own the Marks. Zamil Steel reserves the right to block, filter or delete unsolicited e-mail. You may not use the Site to collect personal information about users or transmit through or post on the Site any unlawful, threatening, abusive, harassing, defamatory, vulgar, obscene, sexually explicit, profane, hateful or any racially, ethnically or otherwise objectionable material of any kind, including any material that encourages conduct that would constitute a criminal offense, give rise to civil liability or otherwise violate applicable laws. THE SITE AND MATERIALS ARE PROVIDED “AS IS,” AND THE USE OF THE SITE AND MATERIALS IS AT YOUR SOLE RISK. ZAMIL STEEL MAKES NO REPRESENTATIONS OR WARRANTIES OF ANY KIND, EXPRESS OR IMPLIED, AS TO THE SITE, THE OPERATION OF THE SITE, THE MATERIALS OR THE RESULTS THAT MAY BE OBTAINED FROM THE USE OF THE SITE OR THAT USE OF THE SITE WILL BE UNINTERRUPTED OR ERROR-FREE. ZAMIL STEEL HEREBY DISCLAIMS, TO THE FULLEST EXTENT ALLOWED BY APPLICABLE LAW, ALL EXPRESS OR IMPLIED REPRESENTATIONS, WARRANTIES AND GUARANTIES, INCLUDING BUT NOT LIMITED TO WARRANTIES OF MERCHANTABILITY, FITNESS FOR A PARTICULAR PURPOSE AND NON-INFRINGEMENT. 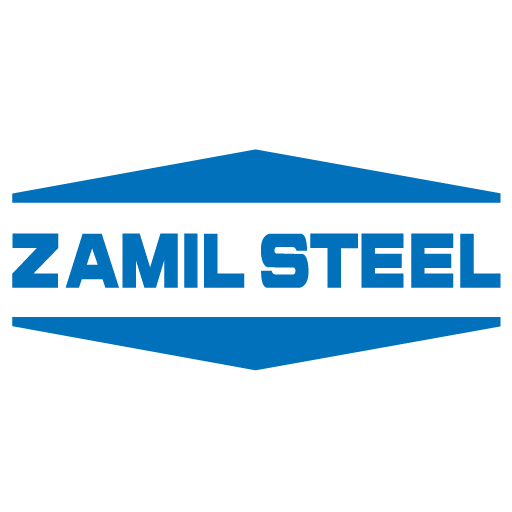 ZAMIL STEEL DOES NOT REPRESENT OR WARRANT THAT ANY PRICING, PRODUCT OR OTHER INFORMATION ACCESSIBLE ON OR THROUGH THIS INTERNET SITE IS ACCURATE, COMPLETE OR CURRENT, AND ALL INFORMATION, INCLUDING PRICES AND AVAILABILITY OF PRODUCTS AND SERVICES, IS SUBJECT TO CHANGE WITHOUT PRIOR NOTICE TO USER AND WITHOUT UPDATING THE INFORMATION ON THE SITE. THIS SITE COULD INCLUDE TECHNICAL OR OTHER INACCURACIES OR TYPOGRAPHICAL ERRORS. CHANGES ARE PERIODICALLY ADDED TO THE INFORMATION HEREIN; THESE CHANGES WILL BE INCORPORATED IN NEW EDITIONS OF THE SITE. ZAMIL STEEL MAY MAKE IMPROVEMENTS AND/OR CHANGES AT ANY TIME. THE SITE AND MATERIALS ARE DISTRIBUTED INTERNATIONALLY AND MAY CONTAIN REFERENCES OR CROSS-REFERENCES TO ZAMIL STEEL PRODUCTS, PROGRAMS, AND SERVICES THAT HAVE NOT BEEN ANNOUNCED OR AVAILABLE IN YOUR COUNTRY. SUCH REFERENCES DO NOT IMPLY THAT ZAMIL STEEL INTENDS TO ANNOUNCE SUCH PRODUCTS, PROGRAMS, OR SERVICES IN YOUR COUNTRY. CONSULT YOUR LOCAL ZAMIL STEEL SALES OFFICES OR CONTACT ZAMIL STEEL BUILDINGS VIETNAM CO., LTD HEAD OFFICE FOR INFORMATION REGARDING THE PRODUCTS, PROGRAMS AND SERVICES WHICH MAY BE AVAILABLE TO YOU.